Item #413181 & #413183 can be purchased individually. Please contact customer service for assistance. 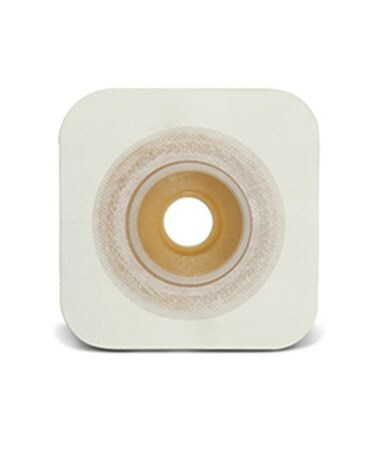 The SUR-FIT Natura Durahesive Skin Barrier with CONVEX IT is part of the latest in skin barrier technology. 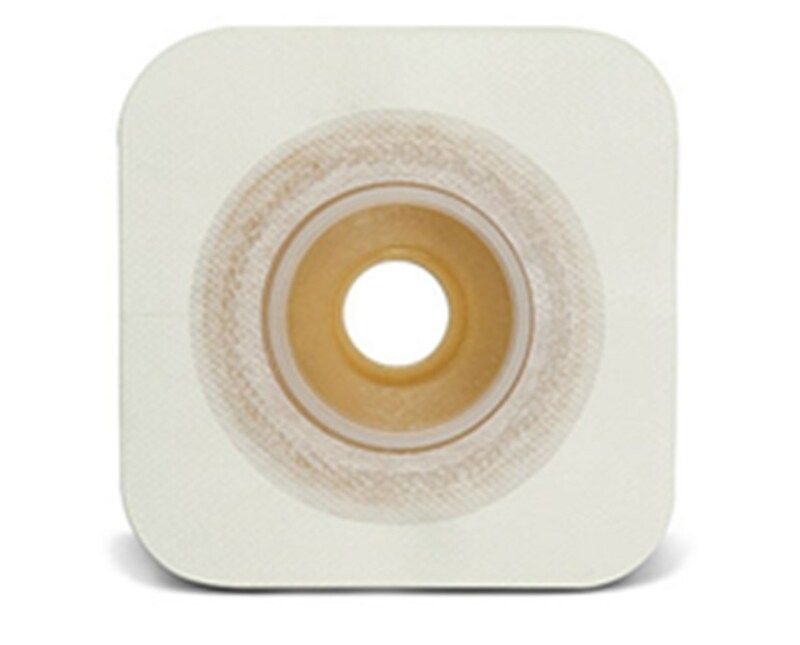 Durahesiveskin barriers are designed for people whose stoma output is mostly liquid. 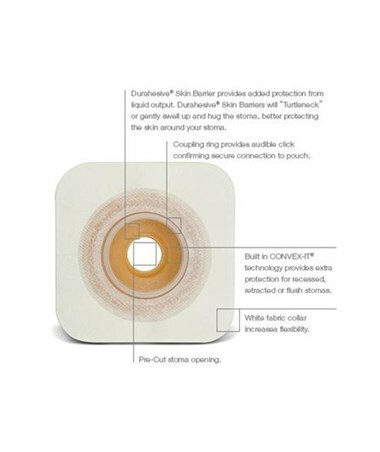 Unlike other skin barriers that can break down around liquid output, Durahesive skin barriers swell up or "Turtleneck" to better protect the stoma and peristomal skin. The plastic coupling ring allows the pouch and skin barrier to snap together for audible security. 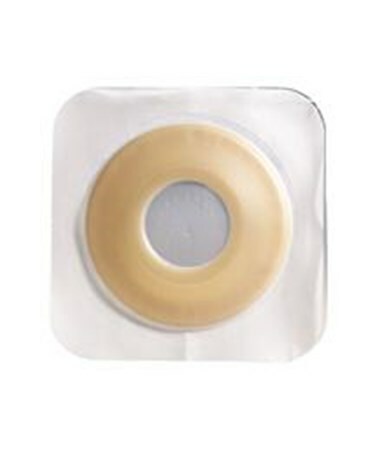 Built in Convex-It barriers are good for people with a retracted or flush stoma. These models require no cutting or measuring, which makes it easy to learn how to use. Purchase the SUR-FIT Natura Durahesive Skin Barrier with CONVEX IT right here online, select a size from the drop down above and press add to cart!